Prime Minister Dmitry Medvedev has said that members of the ruling United Russia party should try to change ordinary Russians’ attitude to entrepreneurs and make successful businessmen role models for the public. “It is very important for us that our people, common citizens, perceive entrepreneurs not as a hostile class, but as an example they should follow, as people who have built successful careers through their own work and through a great deal of effort,” Medvedev said at a meeting with members of United Russia’s business platform, a group set up within the party to promote the interests of businesspeople. The prime minister added that the most likely reason for the continuing negative attitude toward businesspeople in Russia was the “complicated ideological legacy” of the Soviet era. 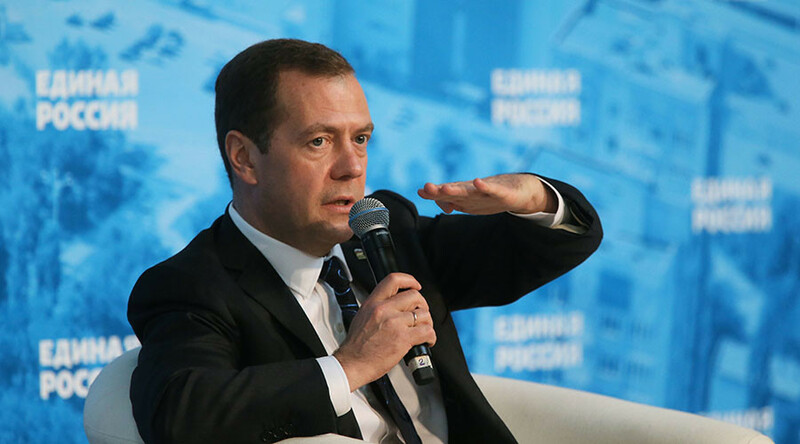 Medvedev suggested that activists should use success stories to promotion a pro- business agenda, noting that such measures could both improve the attitude toward entrepreneurs inside Russia and improve the country’s image internationally. If this campaign is successful, the profession of entrepreneur would become one of the most respected in Russia, he said. United Russia’s Business Platform group was created thanks to a proposal by Medvedev in February. The party has three more groups targeting the most important issues: the patriotic, liberal and social platforms. In April, the platform detailed some proposals for improving the business climate in the country, including the liberalization of laws to make registration and running of companies easier, campaigns that would improve entrepreneurs’ image with children and the proposal to award top state decorations to exceptionally successful businesspeople. Also in February, United Russia held a convention dedicated to its strategy in the forthcoming September parliamentary polls. Its major principles demonstrated a shift from social-oriented policies successfully used by the party to gain popularity during the recent economic boom to pro-business steps and measures that would help to maintain social peace in times of economic crisis. For this, United Russia launched a separate initiative group, or platform, within its ranks that would concentrate on support to various entrepreneurial initiatives. At the time, Medvedev, who serves as United Russia’s chairman, strongly denounced any attempts to call for changes to property rights in the elections, saying that such extreme ideas could lead the nation to catastrophic times similar to those that followed the 1917 Bolshevik Revolution.